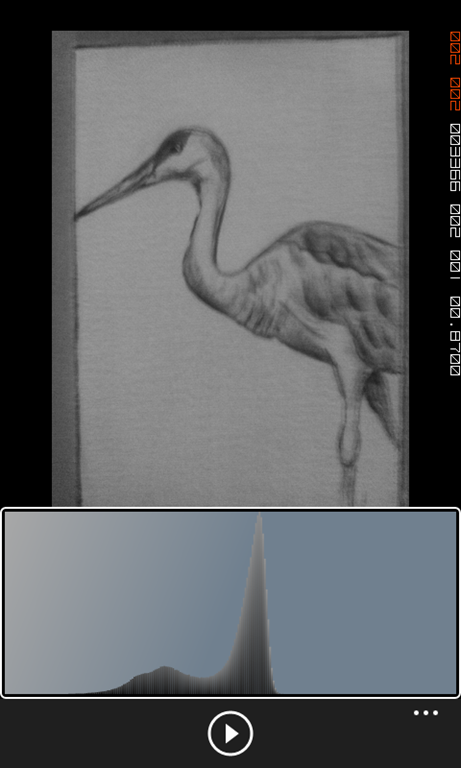 When working with images there is literally an infinite number of operations we can perform on a single pixel. However, blindly manipulating the image will rarely, if ever, produce a desirable result. For example, if an image is already too bright, we wouldn’t want to run a ‘brighten’ function on it. We need to rely on context to achieve sensible results. In the case of spatial filters our context is the neighborhood of the pixel. What is a neighborhood? Neighborhoods are simply pixels adjacent to the pixel we are working with. 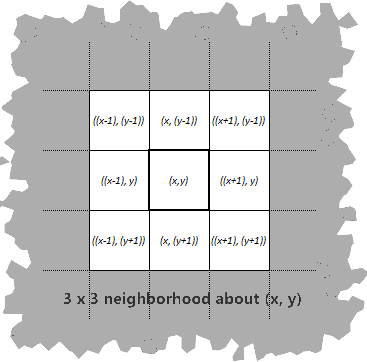 Neighborhoods are typically (but not always) squares with an odd dimension like 3×3 or 5×5. 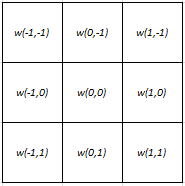 While this is not a requirement, for our purposes we will stick with 3×3. Later we may throw in a 5×5. 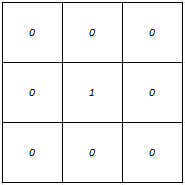 Incidentally, per pixel operations are a special case of neighborhood operations where the neighborhood is 1×1. 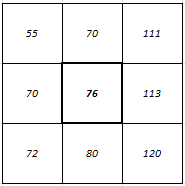 When we “apply a filter” we are just calculating the average using the specified weights. Let’s look at an example. This identity* filter is pretty useless for (hopefully) obvious reasons, but it demonstrates the point. If we apply this filter for every pixel in the image we will get the same image back. * in mathematics, the ‘identity’ returns the original value for a given operation: e.g. 0 is the identity for addition so 1+0 = 1. Finally, let’s take a look at a filter function. As expected, using the identity filter the results are exactly the same. This is a good test to make sure we didn’t mess anything up. Next time we will use this code to apply some useful filters. Though the formulas might look a little daunting when you write them down, the concept of spatial filtering is pretty easy. Now that we have some code that makes it trivial to test different filters, I suggest you do just that. Play around with this and over the next few lessons we will talk about some specific filters.